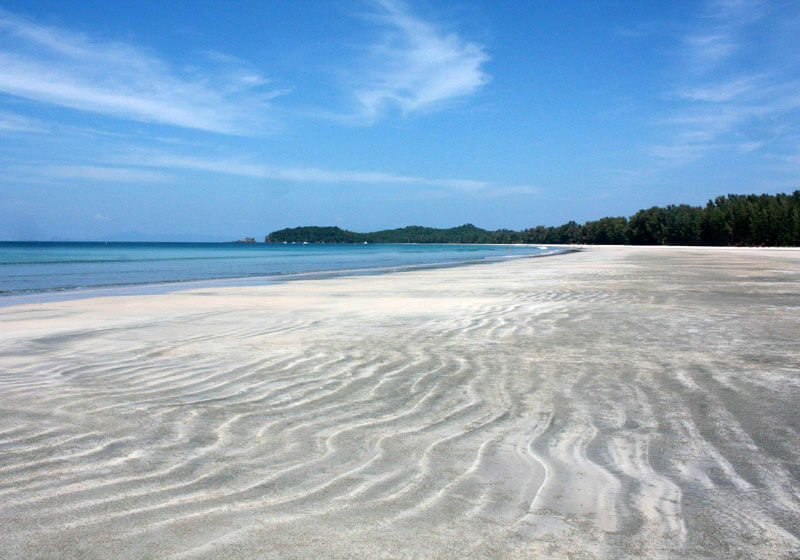 Koh Phayam is the second largest Andaman Sea island off the coast of Ranong Province (Ko Chang, about 4 kms distant, is the largest). Ko Phayam has no roads suitable for automobiles, thus motorbikes are the chief means of transport. Tourists hire motorbikes at the pier and ride along the road to the resorts. There two major beaches/bays, i.e., Ao Yai and Ao Kao Kwai (Buffalo Bay). For those who want to get away from it all, Ko Phayam is reminiscent of what Ko Samui was like 30 years ago, before the airport and hotel developments. Ao Yai is the largest bay on the west coast, about 3 km long and 300 m wide, with a white sand beach and a gentle swell from Andaman Sea. Stunning sunsets as well. Koh Phayam is widely thought to be one of the most beautiful–and undiscovered–of Thailand’s islands.